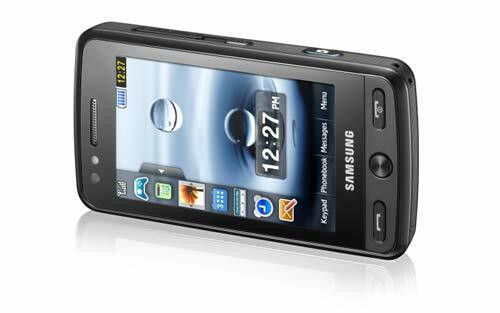 The Samsung Pixon has an 8-megapixel sensor combined with what the Korean firm calls ‘proper’ camera features. Geesung Choi, Samsung’s telecoms chief says: “For the first time you will have a camera on your phone capable of delivering the quality of image of a regular camera.” And who are we to argue? Although there’s no optical zoom, digi zoom clocks in at 16x and auto focus, face detection, and anti-shake are all present and correct. Naturally, geotagging is supported – something you can see in action at the Pixon promo site right here. A 3.2in touchscreen and flick-sensing accelerometer make sorting photos as easy as you’d expect these days. Aside from the camera features, all the usual Samsung goodness is along for the ride – 7.2Mbps HSDPA, audio and video (DivX too) playback, Bluetooth and an FM radio tuner. The Pixon is shipping in Europe as we speak and will spread to other GSM markets soon after, but – alas - not GSM-free Japan.